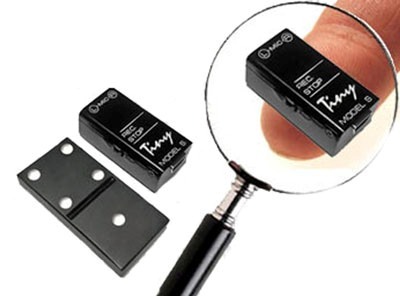 This is a tiny MicroDot squared audio recorder which the company claims as the world’s smallest voice activated digital recorder. As what you see in the photo, you almost need a magnifying glass to even notice it! With its 128 MB on board memory, it can record for around 18.6 hours. The incredible small Microdot recorder features an unique VAS (Voice/Noise activation system that able to stop the recording automatically when no voice is present, aiming to save your recording time. In addition, this tiny recorder also can perform time and date stamping, programmable timer for automatic scheduled recording and even fast USB file transfer ability, which aimed to enhance your recording experience. The new generation MicroDot Squared tiny audio recorder that barely bigger than your fingertip is available for about $480.